" ... THE LAWYERS IN THIS CASE [ARE] SOME OF THE BEST LAWYERS IN THE UNITED STATES, IF NOT IN THE WORLD." 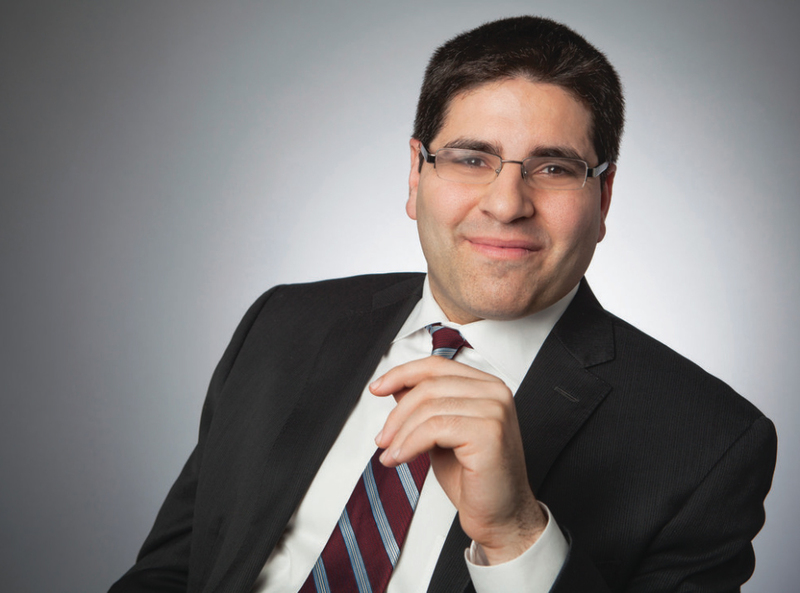 Managing Partner Jeremy A. Lieberman, who leads the firm's Petrobras Litigation. Pomerantz’s recovery on behalf of Petrobras investors has now reached $3 billion. 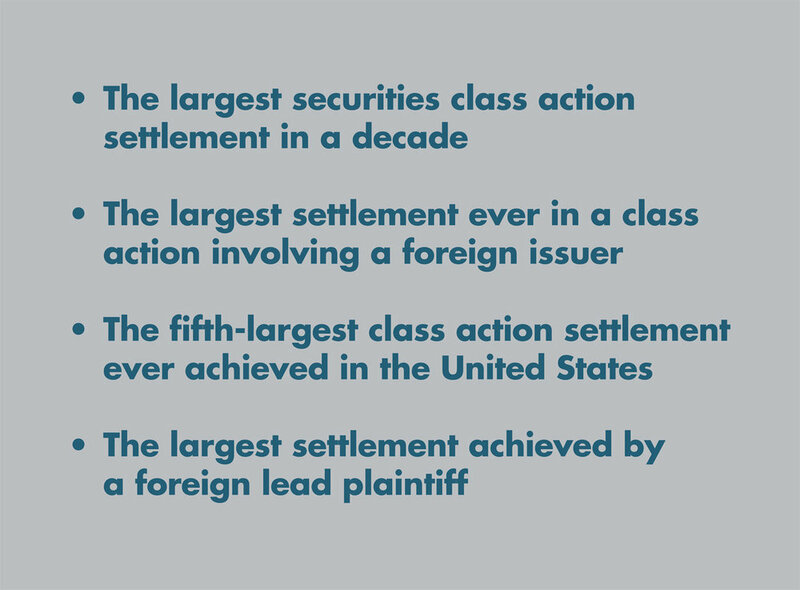 This represents the largest securities class action settlement in a decade, the largest settlement ever in a class action involving a foreign issuer, and the fifth-largest class action settlement ever achieved in the United States. In a significant victory for investors, Pomerantz, as sole lead counsel for the class, along with Lead Plaintiff Universities Superannuation Scheme Limited, achieved a historic $3 billion partial settlement with Petroleo Brasileiro S.A.--Petrobras and its auditor, PwC Brazil. In September 2018, Pomerantz, as co-lead counsel, achieved a settlement of $80 million in a securities class action against technology and media giant Yahoo over allegations related to two data breaches in 2014 in which over 1.5 billion Yahoo user accounts were compromised. This is the first significant settlement to date of a securities fraud class action filed in response to a data breach. Pomerantz leads a securities class action lawsuit against tobacco giant Philip Morris for misrepresenting its growth prospects as rosy while failing to disclose gross inadequacies in its clinical trials for the company’s e-cigarettes. Pomerantz is co-lead counsel in this high-profile class action against Fiat Chrysler, for misrepresentations about the company’s business practices that caused at least 3.1 million Chrysler cars and trucks to be unsafe to drive. On June 15, 2018, Pomerantz’s motion for Class Certification was granted. Pomerantz represents Banco Safra SA, one of the largest banks in Brazil, in a class action against Samarco Mineracao SA, relating to the loss in value to the company’s bonds triggered by the Fundão dam-burst disaster. Pomerantz is lead counsel on behalf of all lending institutions in the United States in a class action arising out of the LIBOR rate-fixing scandal, which impacted trillions of dollars in investments. Pomerantz is lead counsel in this securities class action against Wynn Resorts for allegations arising from founder and CEO Steve Wynn’s history of sexual misconduct with respect to Wynn Resorts employees, including instances of sexual assault. Pomerantz survived defendants’ motion to dismiss this litigation against the high-profile pharmaceutical company for charges related to Mylan's alleged systemic practice of over-charging Medicaid for its Epi-pens. In July 2018, the court denied in largest part the defendants’ motion to dismiss this important securities class action against international pharmaceutical company Perrigo plc. Plaintiffs allege that the company misled investors as to its revenue growth potential in order to encourage them to reject a tender offer by Mylan N.V.
Pomerantz’s cutting-edge legal theory for investors who purchase securities on foreign exchanges is overcoming obstacles created by SCOTUS in Morrison. Pomerantz represents Lead Plaintiff in a securities class action against Tesla, Inc. alleging that Tesla misled investors regarding production numbers for its Model 3 car. The FBI is reviewing those production numbers as part of an ongoing criminal probe into Tesla. Pomerantz is co-lead counsel in a securities class action against holding company Blue Apron Holdings, Inc., which, through its subsidiaries, provides meal-kit delivery services, concerning allegations related to the company misleading investors as to its business, operational and compliance policies. Pomerantz represents several institutional investors in an individual action against pharmaceutical giant Teva relating to alleged anticompetitive practices in Teva’s sales of generic drugs. In this class action insider trading case, Pomerantz, as Co-Lead Counsel, achieved a $135 million settlement for investors in the pharmaceutical company Elan Corp.
Pomerantz, as Lead Counsel, achieved a $27 million settlement for the Class, pending court approval, in a high-profile litigation against Barclay’s. We alleged that, while Barclay's stated that it monitored its "dark pool" to eliminate “toxic” trading, it actively encouraged predatory traders to engage in dark pool trading. Pomerantz is the oldest securities class action firm representing plaintiffs and one of the most respected law firms in the United States. Along with some of the most skillful securities fraud litigators in the U.S., our client-specific focus, commitment to integrity and innovative legal strategies have led many of the largest domestic and foreign institutional investors to rely upon our advice, counsel and litigation skills.